All I want for Christmas is to meet Sarah Silverman. You can win it for me here. 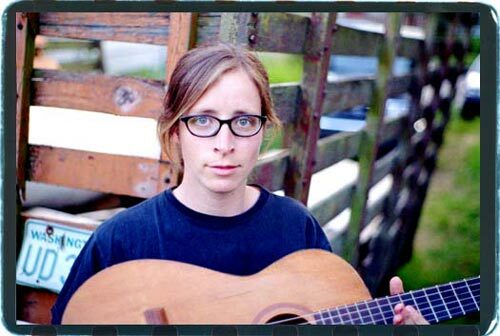 If you live in the Portland area, Laura Veirs could be your guitar teacher. Laura is accepting music students in the Portland, Oregon area. If you are interested studying guitar, banjo or songwriting with Laura, please email Clyde at yourheartbreaks@hotmail.com and I will pass along her contact information. She’s teaching lessons in a rad backyard studio with a wood-burning stove and French doors to her garden. It’s lovely place to learn music and Laura’s a great teacher. Over ten years of teaching private lessons I’ve found that this method works: Listen, play and record. Listen — We listen to a recording of the song you want to learn. Play — With chords and/or tablature as a visual aid, you play through the song slowly. Record — I record the song slowly for you to play along with at home. Each week I give specific homework for students. Songwriting students are encouraged to use “The Artist’s Way” as a supplemental text. Every few months we have “Star Parties” where all my students gather together to present the music they’ve been working on. These parties tend to freak out some students but ultimately give them a sense of accomplishment and camaraderie. I try to make lessons fun, engaging and challenging. Since I’m a touring musician I am sometimes gone for weeks at a time. Adult students tend to adapt better to my schedule (kids need more consistency to keep up with their lessons). Interview of Laura and Colin Meloy from 2006 talking about how they started playing.